Ronda Rousey is engaged to boyfriend and fellow UFC fighter Travis Browne as of last week, according to TMZ. The pair was on vacation in New Zealand when he decided to propose. He popped the question underneath a waterfall where “it felt like the right place to do it,” he told TMZ. They don’t have a date set yet, but Rousey said she hopes it will be soon. Rousey, the former UFC women’s bantamweight champion, hasn’t been in the Octagon since her loss to Amanda Nunes at UFC 207, but she hasn’t confirmed that she’s done for good. Even before the Nunes bout, she expressed her desire to move on to the next phase in her life, and it seems like that’s exactly what she’s doing. 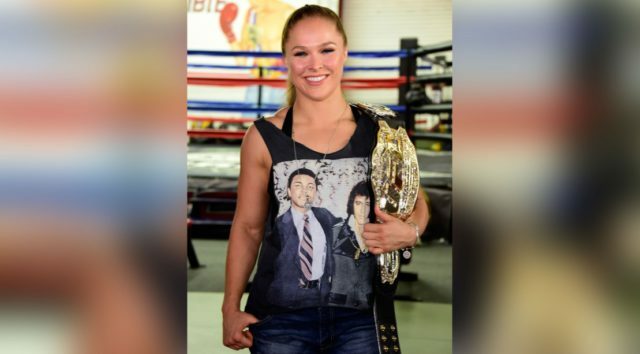 She’s already dabbling in acting, and even Dana White has said that he thinks she’s likely to retire. Although her MMA future is still uncertain, it’s clear that Rousey is in a positive mindset and we’re glad to see her happy.